Our office has handled thousands of Successions for all kinds of constituents throughout the entire Southeastern region in Louisiana. We are knowledgeable and experienced in the passing of estates from the deceased (legally termed the “decedent”) to his/her heirs (legally termed the “legatees”). 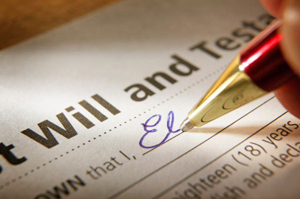 If you have a property that was left by a decedent with a will, our firm is extremely qualified to perform both Testate and Intestate Successions. “Testate” is the legal term used to indicate the decedent’s Will was provided to complete the Succession. The Law Office of Michael J. Hall will do everything necessary to probate the will, assign an executor, and facilitate the succession. This will ultimately place the legatees in possession of their inheritance. “Intestate” is the legal term used to indicate the decedent did not leave a Will, and the property must be divided equally among the legatees. If you have property left by a decedent Intestate, we can appoint an administrator, place all heirs in possession, and distribute the estate of the decedent(s) to place the heirs in possession of their inheritance. We can also address issues of a small Succession, and can handle the needs of a Small Estate/Succession without costing you the fees of a large estate, which is important to the people of Southeastern Louisiana from a financial perspective. We also understand the laws of usufructuary, and can distribute the assets of the decedent, while allowing the necessary party use of the decedent’s estate. If you are looking to delineate what is to be done with your estate as it relates to your loved ones, our office has extensive knowledge of the laws of Wills and Estates in Louisiana, and can assure you that your estate is passed on in the manner, and to whom you desire and intend. We can give you security in knowing that your worldly possessions will be in the right hands, and cared for, as you desire. Have additional questions or need further information? Call Law Office of Michael J. Hall for a free consultation: (504) 383.5294 or fill out the confidential contact form.